Indiana University's Jesse Schultz, New Albany and Dustin Vaal of Bloomington, pulled out a come from behind victory to become two time champions at the National Guard FLW College Fishing Central Regional Championship on Saturday with three bass that weighed 11 pounds, 4 ounces. The Hoosiers caught a total of nine bass weighing 31-7 to win a Ranger boat and outboard motor wrapped in school colors for their bass club and $25,000 for the University worth a total value of $50,000. They have also qualified for a shot at the National Guard FLW College Fishing National Championship next April. The Hoosiers overcame a 1 pound, 12 ounce deficit to win by a commanding 7 pounds, 9 ounces over second place Truman State University - Spencer Clark, Kirksville, Mo., and Mike McCarthy Jr., Chesterfield, Mo., who had a three day total of 11 bass weighing 23-14 to take home $25,000. The three day tournament took place on Lake Monroe and really challenged top 20 college teams from around the central region. Only one six bass limit was caught during the entire tournament and that was by Truman State University on day two of the competition. "We were cranking trees all week long," said an overjoyed Vaal who is a sophomore in Business Management. "Jesse was a great net man today! This is just amazing." "It was our presentation that made the difference today," added Vaal. "We finally figured out a pattern late yesterday and we made it pay off today. We were using deep diving Fat Free Shad in trees about 10 to 15 feet deep. We had all our fish today by10:30 which was really lucky for us, the past two days it was just the opposite, no morning bite with a late afternoon bite." Hometown does have its advantages. Schultz and Vaal knew that Lake Monroe does not hold a lot of 2 and 3 pound bass so decided to target the big fish and it paid off in a big way for them. Bringing three toads to the scales on Saturday they were able to come from behind to claim victory in front of a very supportive and frenzied IU crowd. "This is amazing, we're living a dream," said Schultz, a junior in management. "This was all about team work, Dustin and I have the same team mentality and we were able to work together and keep encouraging each other in order to stay positive and we pulled it off. "We were 45 minutes away from bringing in zero on the first day, I was sick to my stomach, but we kept talking to each other, bouncing ideas off each other on how to catch that keeper and we were able to stay positive and bring in two fish that were over 4 pounds each - our team work is what was key for us this week. "I think this is the most competitive region in college fishing," Schultz went on to say. "To become champions two years in a row in front of our friends and family was amazing. We can't thank them enough for coming out, especially on these past few freezing mornings, to cheer us on; it was amazing and really made us want to fish even harder and with more determination." A complete list of results can be found at www.CollegeFishing.com. The top five teams from each regional championship, 25 teams total, will advance to the 2011 National Guard FLW College Fishing National Championship that will be hosted by Murray State University on Kentucky Lake, April 7-9. The National Championship is a three-day televised event. Teams will be provided jerseys and wrapped Ranger boats towed by Chevy trucks for this competition. The first-place team will win $100,000 with $50,000 of that for their school and $25,000 cash and a Ranger 177TR bass boat for their fishing club along with a berth in the 2011 Forrest Wood Cup. 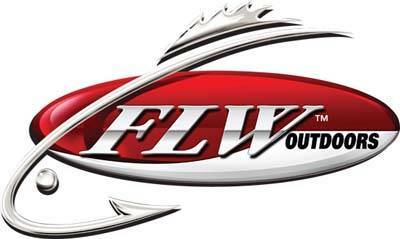 FLW Outdoors provides boats and drivers for each competing team along with travel allowances. All participants must be registered, full-time undergraduate students at a four-year college or university and members of a fishing club recognized by their college or university.